Some of our most exciting times on the farm have been watching the life cycle of farm animals, more specifically, a chick’s life cycle in real life! “Life cycle” means the stages a living thing goes through during its lifetime. It is especially fun to study the life cycle of a chicken egg because the changes happen relatively quickly. 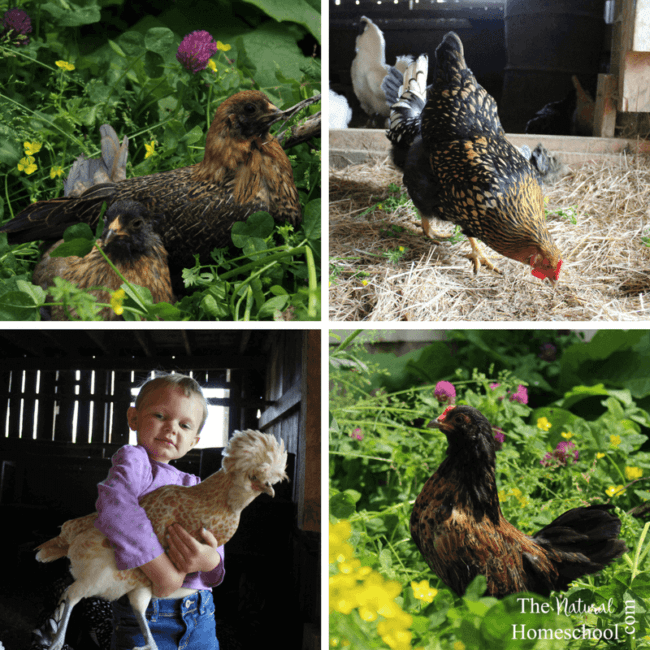 Living on a farm allows us abundant opportunity to observe and participate in many of the farm animals life cycles, but the chick to chicken life cycle have been, by far, our favorite. 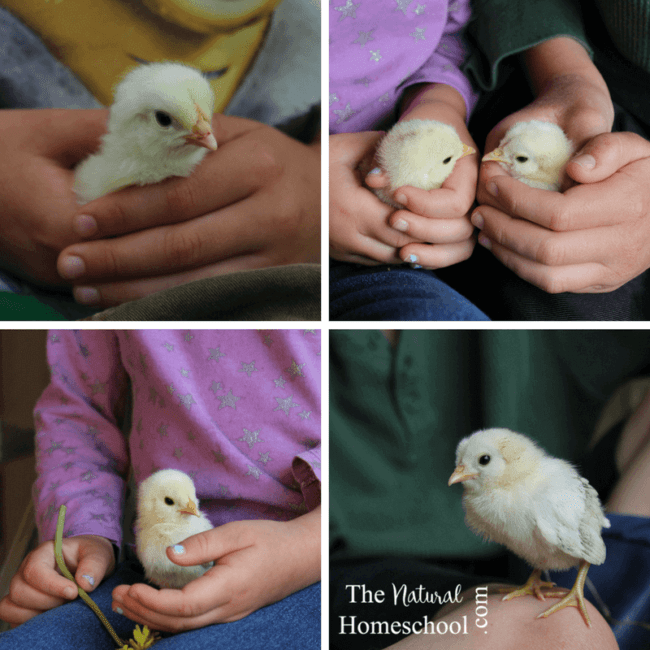 Plus, raising chickens has provided them with a real hands-on Science education. A chicken’s life cycle begins before it hatches from it’s egg. There has been so much to learn about eggs and their functions. They are not just a breakfast food! We’ve even done experiments with eggs like our Easy Rubber Egg Experiment and read some really great books like: Chicken’s Aren’t the Only Ones, and Egg: Nature’s Perfect Package. Adult chickens (rooster and hen): For fertilization, or the combining of cells, of eggs you need both a rooster (male chicken) and hens (female chickens). You can also order fertilized eggs from a local farmer or from online stores like My Pet Chicken. “Broody” hen or incubator: A “broody” hen is a mama chicken that wants to sit and hatch her eggs. The hen is a very important part of the chicken life cycle because in nature she is both protector and nurturer of her eggs and chicks. She makes sure that the temperature and humidity are the perfect conditions for her little flock and that the eggs get turned multiple times per day to prevent the yolk from crushing the little chick inside. But not all hens want to sit on their eggs and different breeds become “broody” at different times throughout the year. 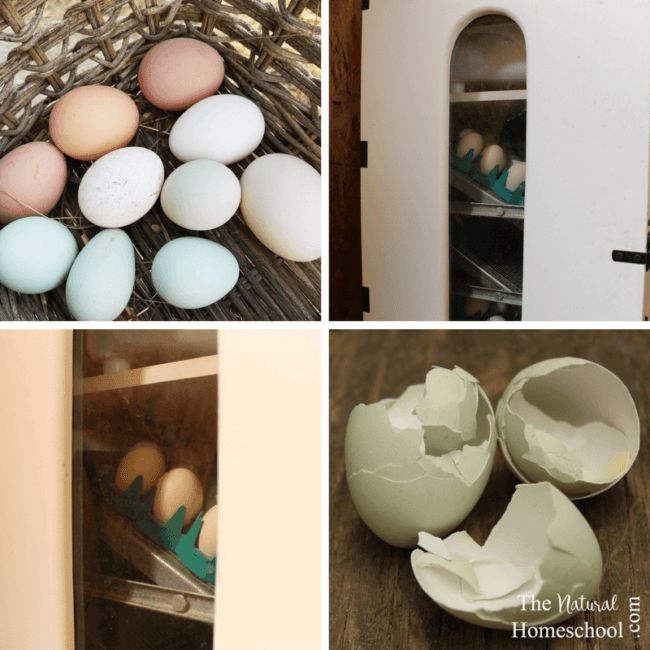 If you lack a “broody” hen, then you can use an incubator for hatching your chicken eggs. With an incubator you have to control the temperatures and the humidity just like mama hen would. Just be sure to follow the instructions on your incubator. Fertilized eggs need to be incubated for a period of 21 days. During this time the chick embryo grows. The egg must be kept at a temperature of 99-102 degrees at all times. 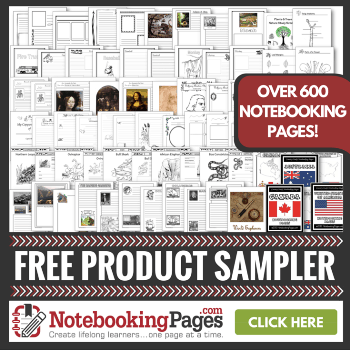 Talk about a hands-on education! Keeping track of the days, temperature, and humidity is crucially important in hatching eggs. Some fun topics to research on your own are: egg yolk, egg white, how chicks grow, which hens have the best (and worst) egg production, and what it looks like when a chick is inside the egg. Once the baby chicks hatch from their eggs they must be kept warm. If they have a mama hen then you need not worry about this part. She will take care of environment. However, if you used an incubator, now is when you’ll place your newly hatched chicks in a brooder box (a container with a 250-watt infrared heat lamp). Living on a farm we get to experience both scenarios. The chicks need an environment that remains around 95 degrees the first week, and 90 degrees the second week. Continue to drop the degrees by 5’s every week until they can transition to the outside world. Our son likes keeping track of the temperatures for our little chicks. The stage that chicks go through nest is the adolescent phase. This stage only lasts a few weeks. This is when chicks are losing their fluff and growing feathers. They look down right awkward, but is totally normal. When your chickens are around 6 months old you will hear their first crow (if it’s a male) or they will lay their first egg (if it’s a female). Now they are ready to begin the life cycle process all over again with a new generation of chicks! Hatching chicks is a fantastic way to learn about the chicken life cycle. So fantastic in fact that many teachers now provide children the opportunity to experience the hatching process in the classroom! But you don’t need a classroom or a farm to watch this life cycle. Many people choose to raise their own backyard chickens, just be sure to check your town and county ordinances. 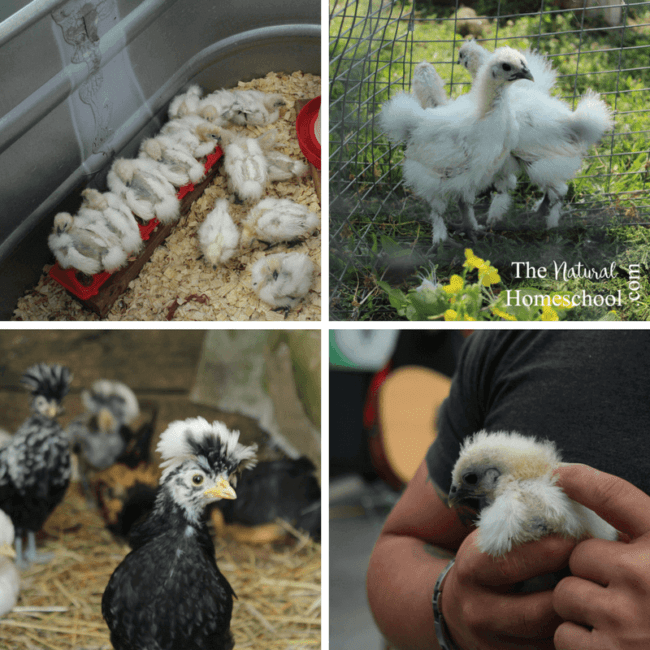 Have you or your kids gotten to experience the chicken life cycle? 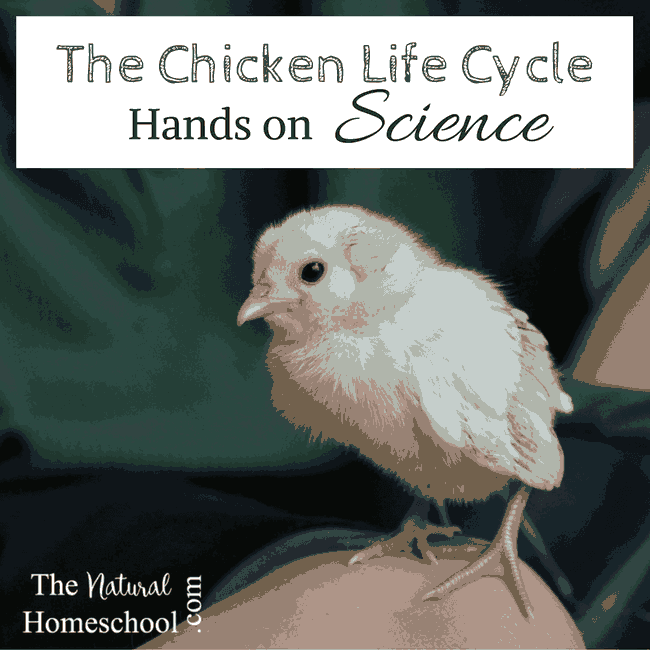 Thank you for reading “The Chicken Life Cycle: Hands on Science” post. 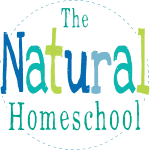 You might also enjoy our Easy Rubber Egg Experiment, and 4 Reasons We Got Goats post.